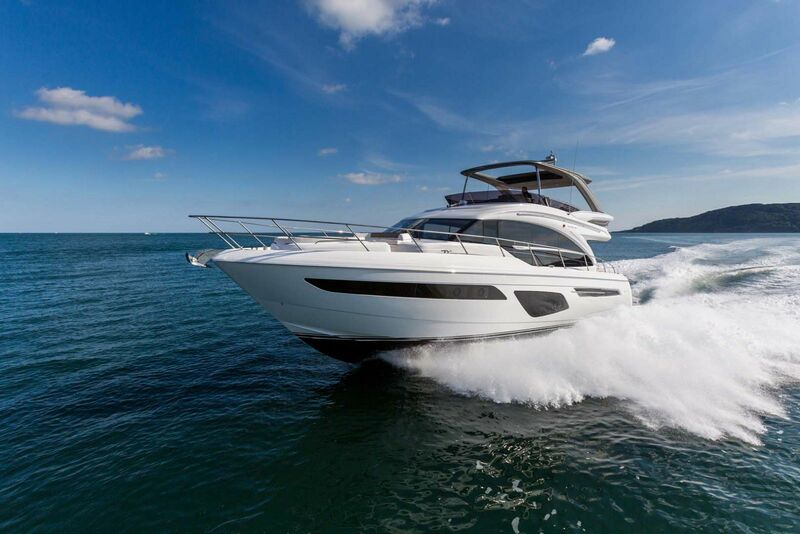 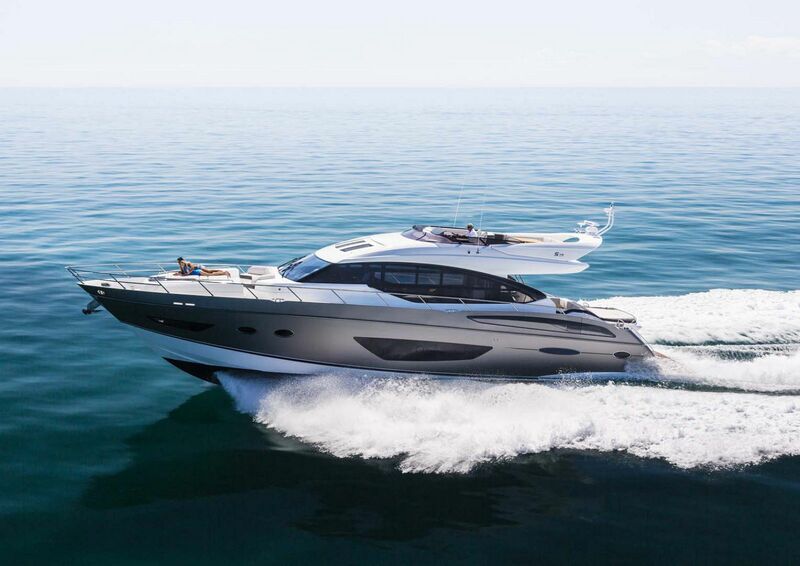 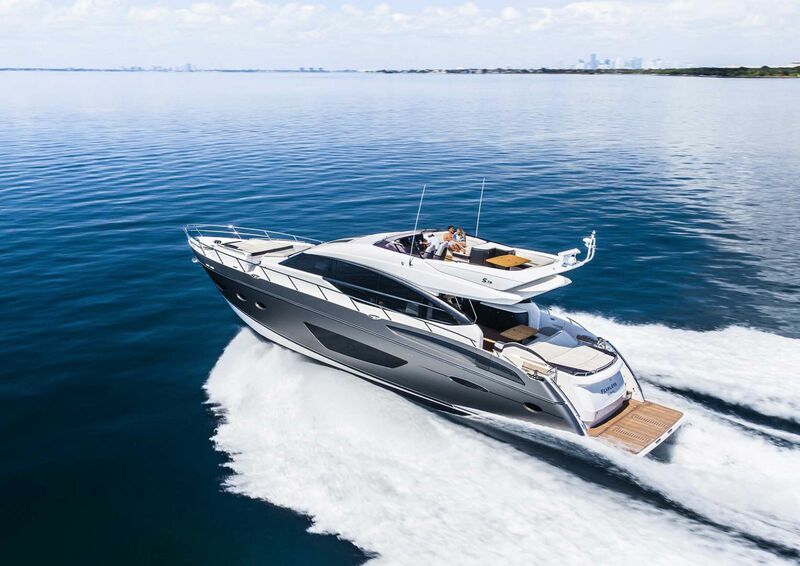 The handling of the Princess Yachts S72’s deep-V hull feels impossibly light and strong, a nod to the resin infusion process and quality composites used in the construction of the hull and deck. 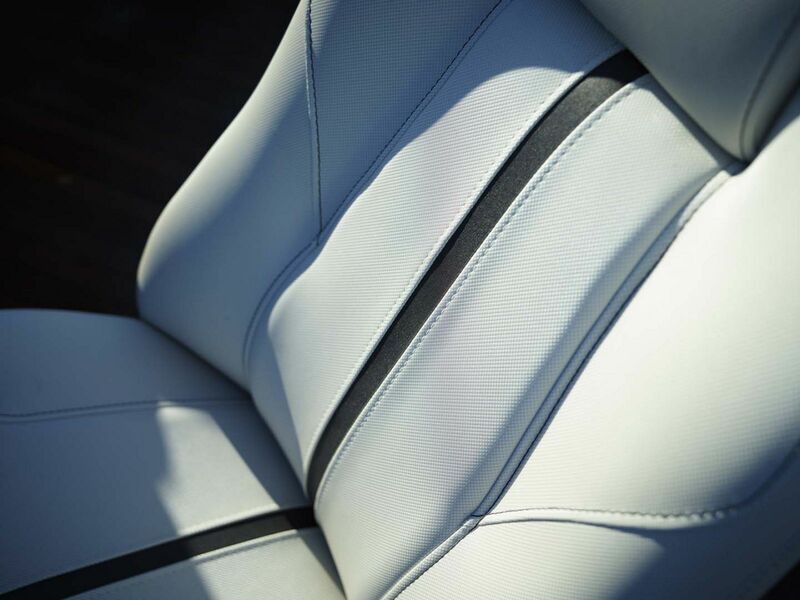 She is an aggressive sportster with precision maneuverability. 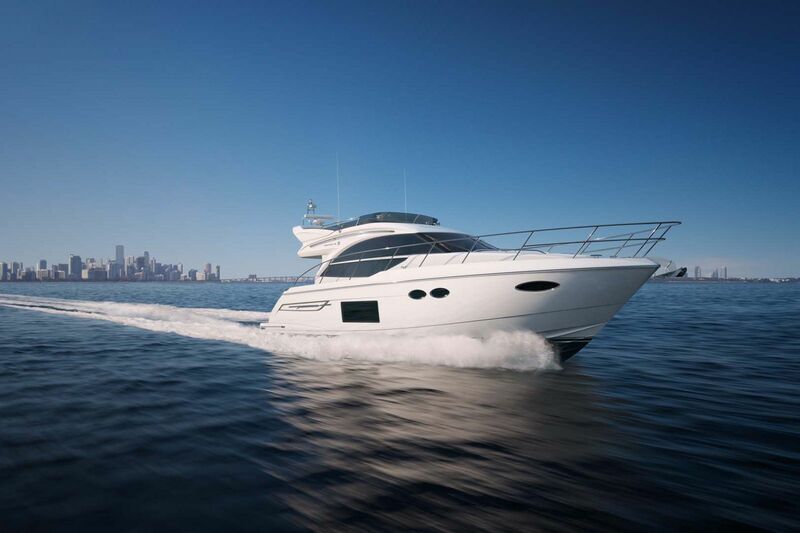 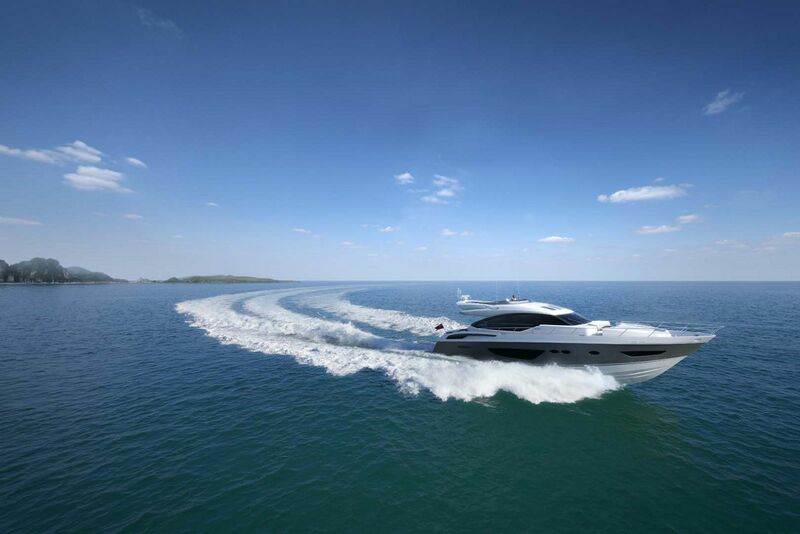 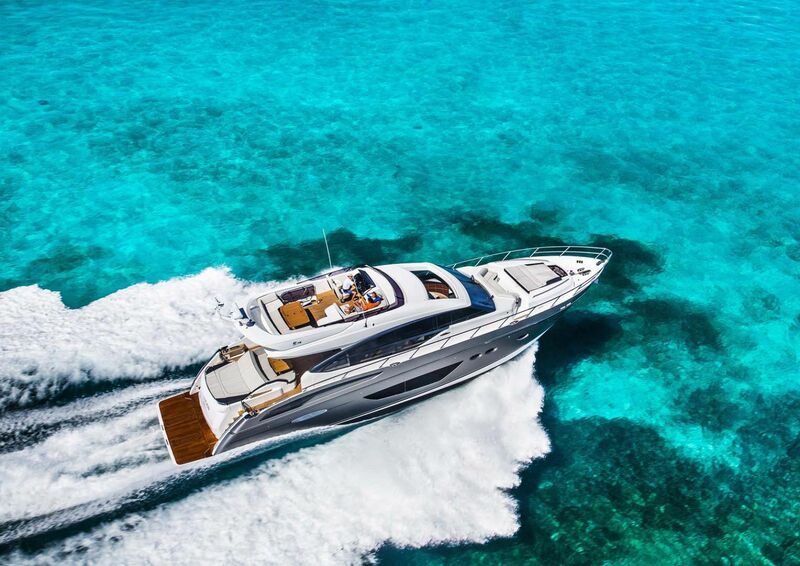 Coupled with powerful engines, she’ll propel you to a breathtaking 40 knots with assured control. 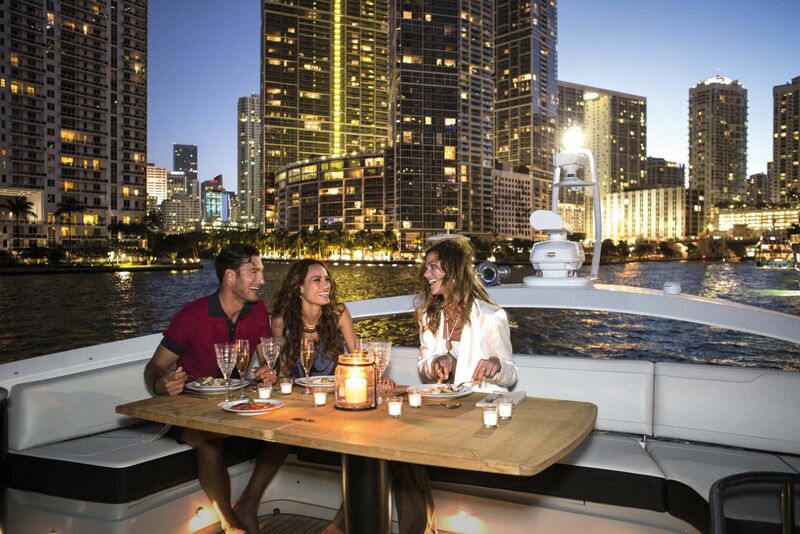 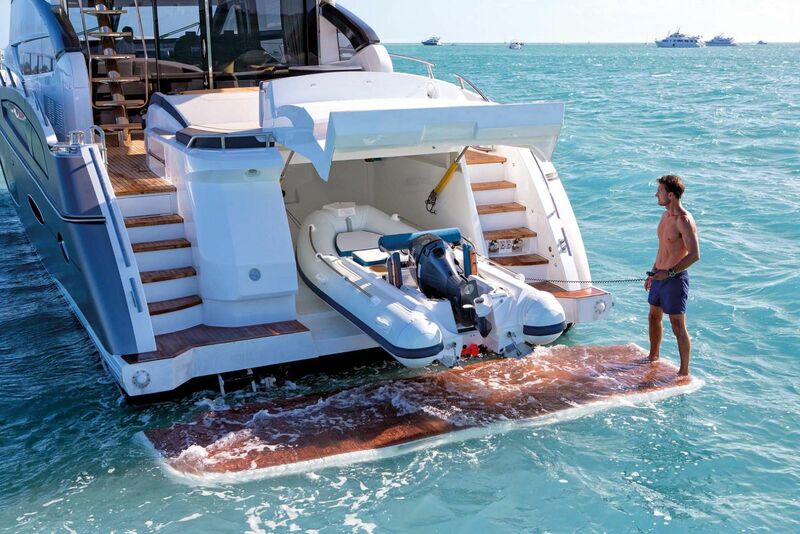 Her modern looks, electrically controlled sunroof, hydraulic bathing platform and a massive transom garage will tgive you endless possibilities every day on how you want to use your yacht. 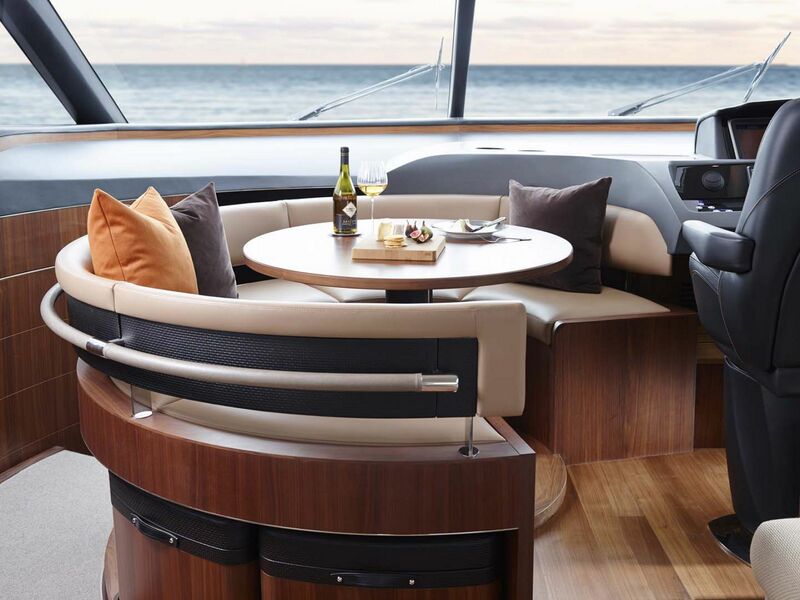 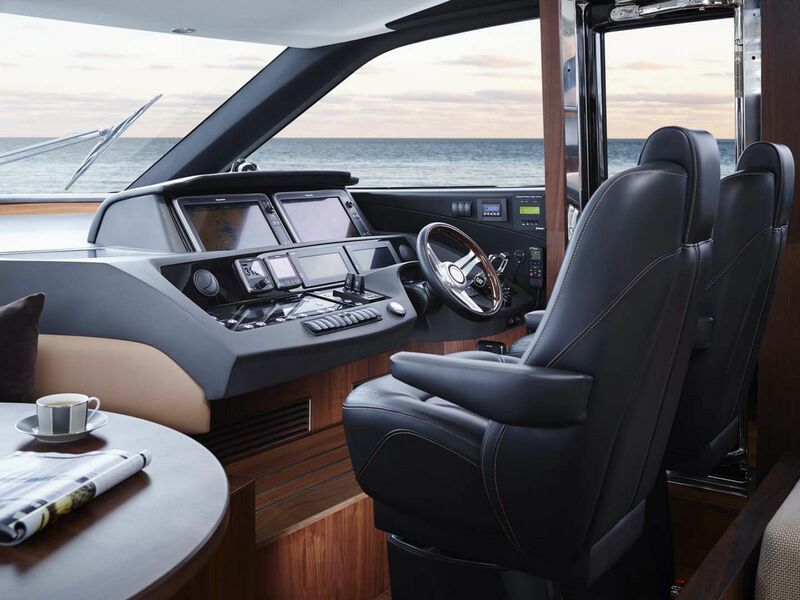 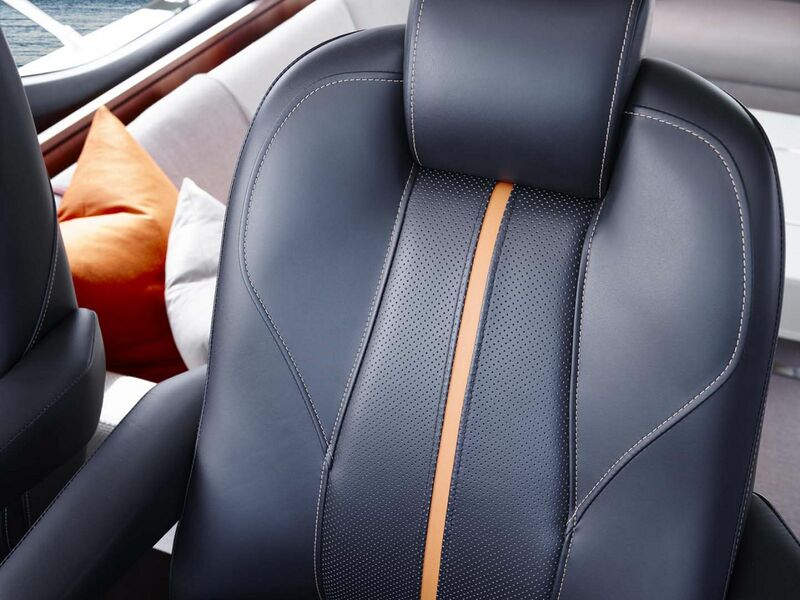 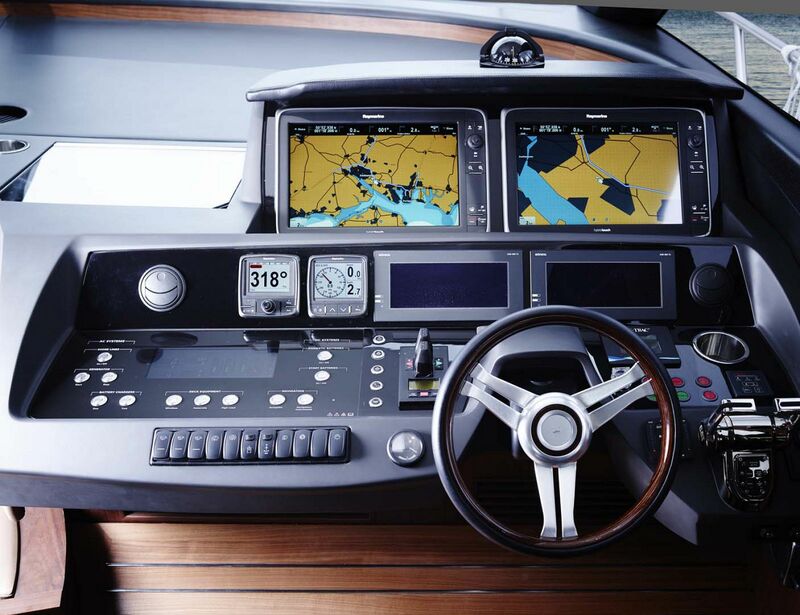 Inside the Princess S78 Sportbridge is both remarkable and functional. 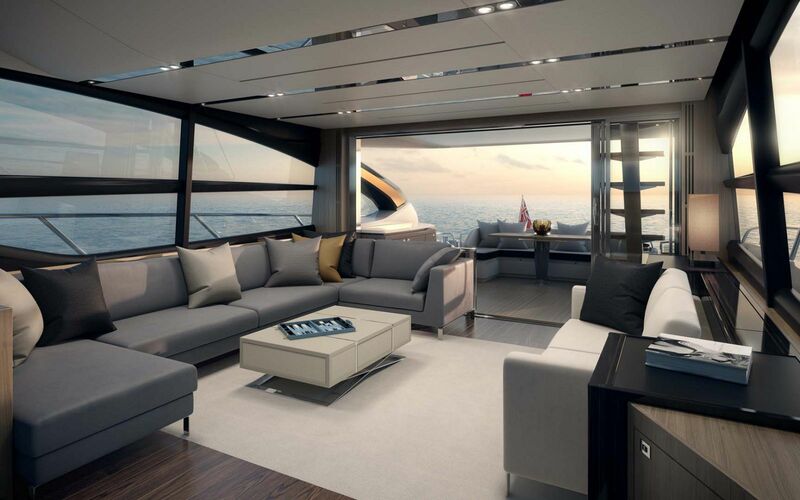 Glazed doors fold away to open the deck salon and cockpit into a one level social area. 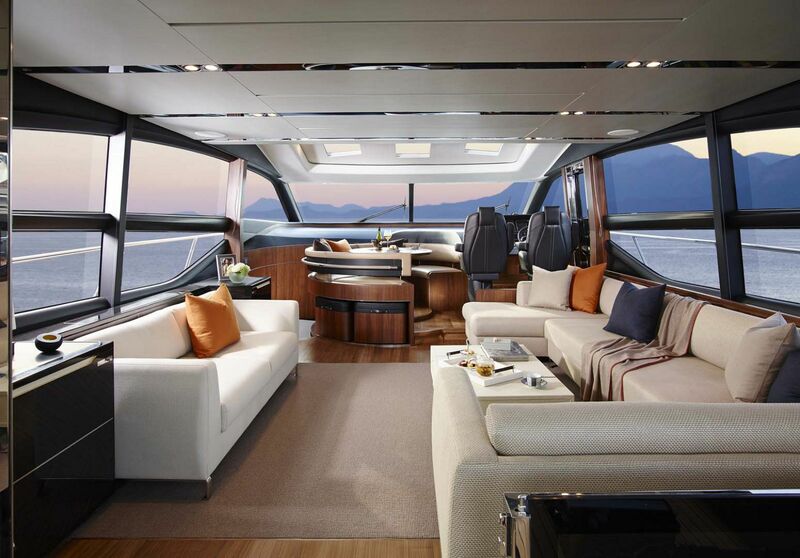 The sunroof only enhances her sense of space and brings in a tremendous amount of natural light. 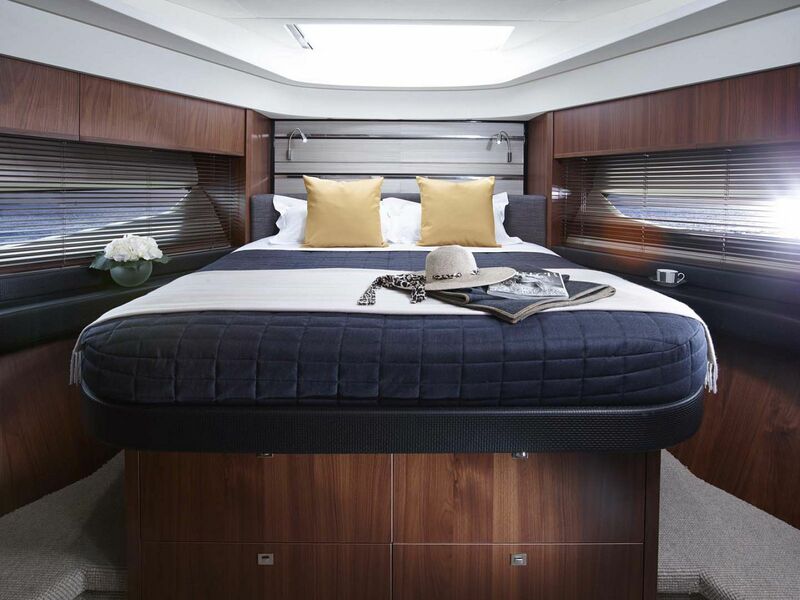 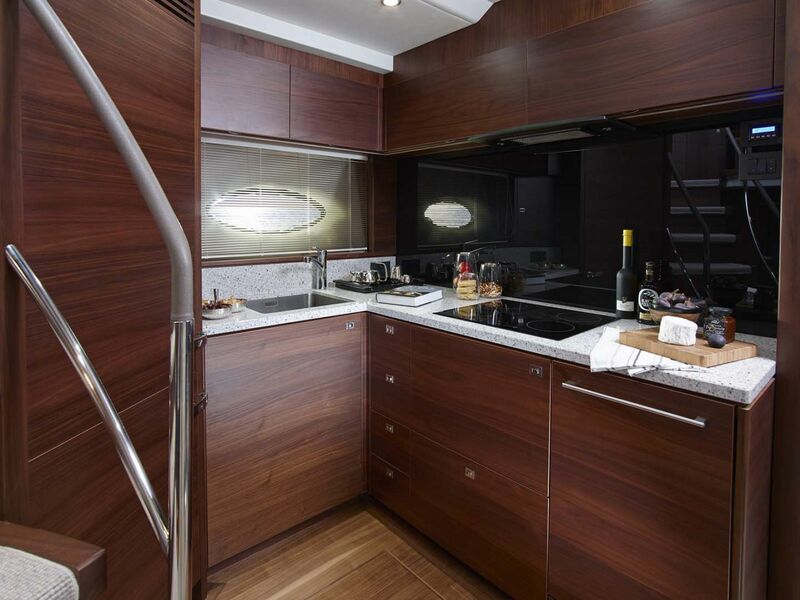 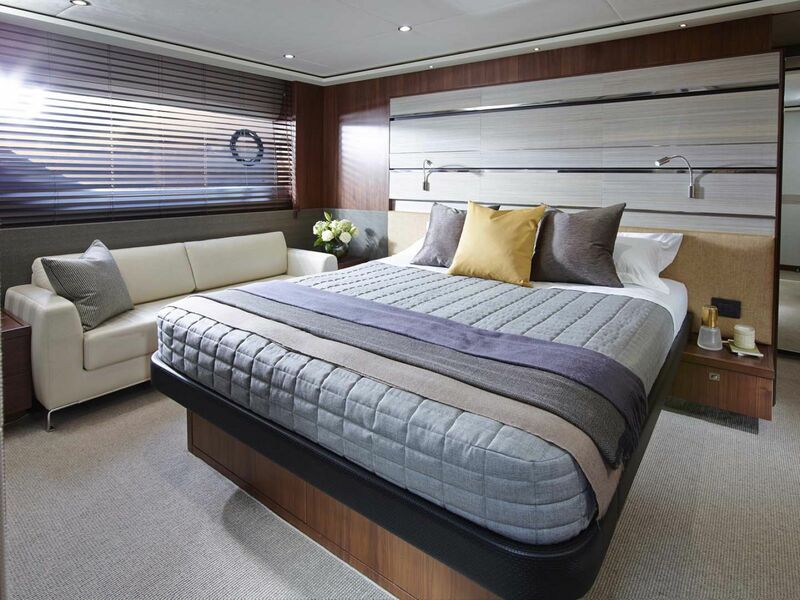 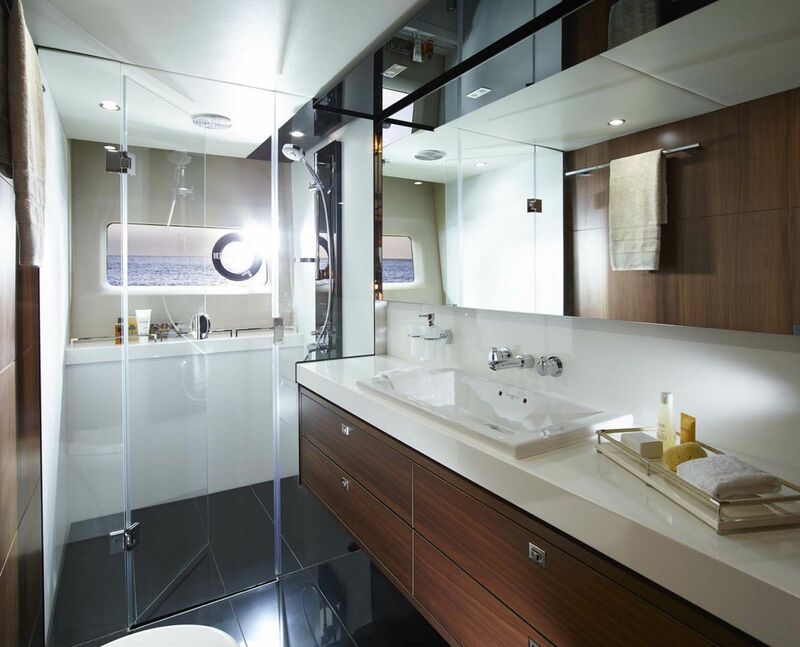 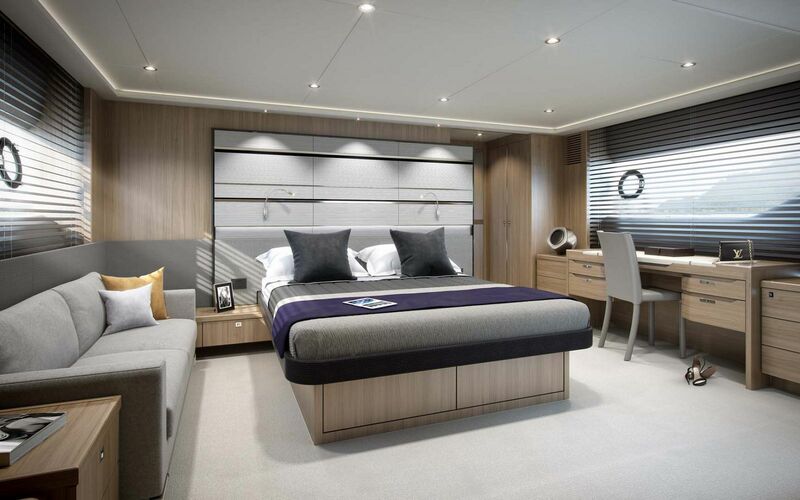 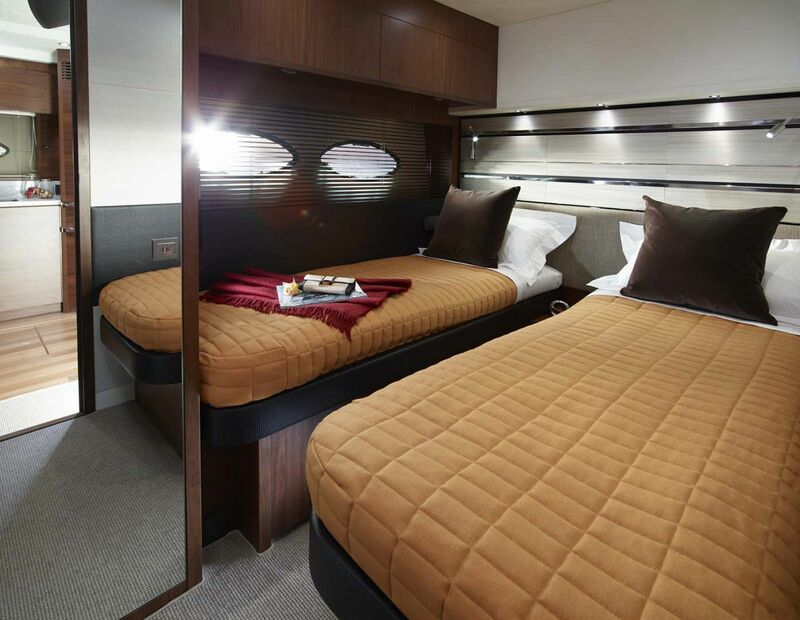 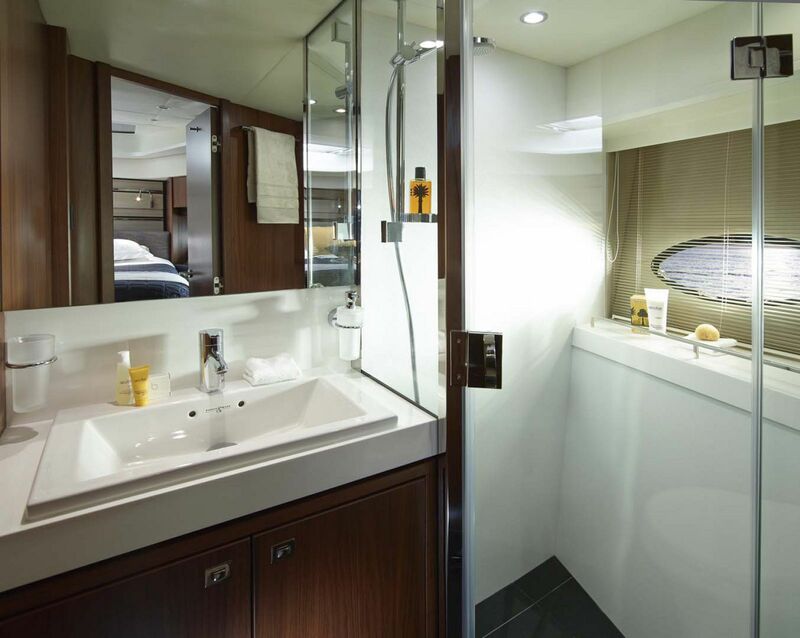 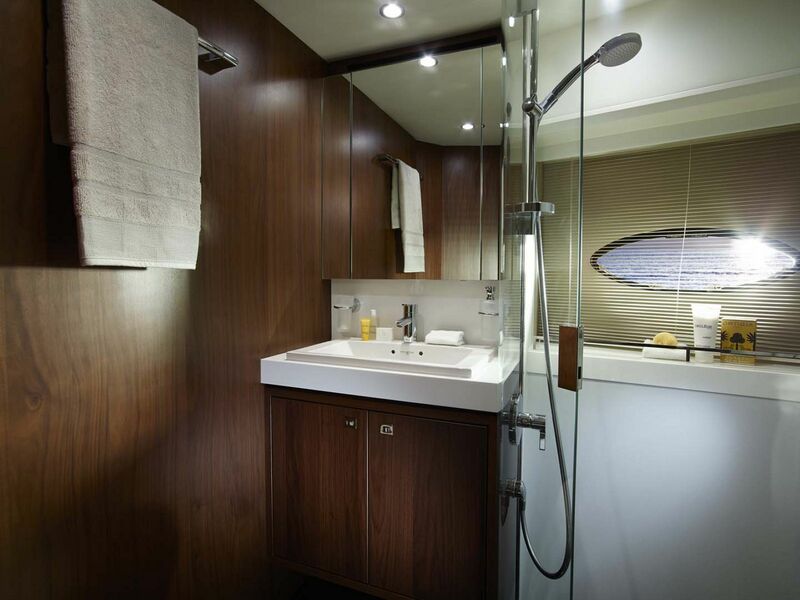 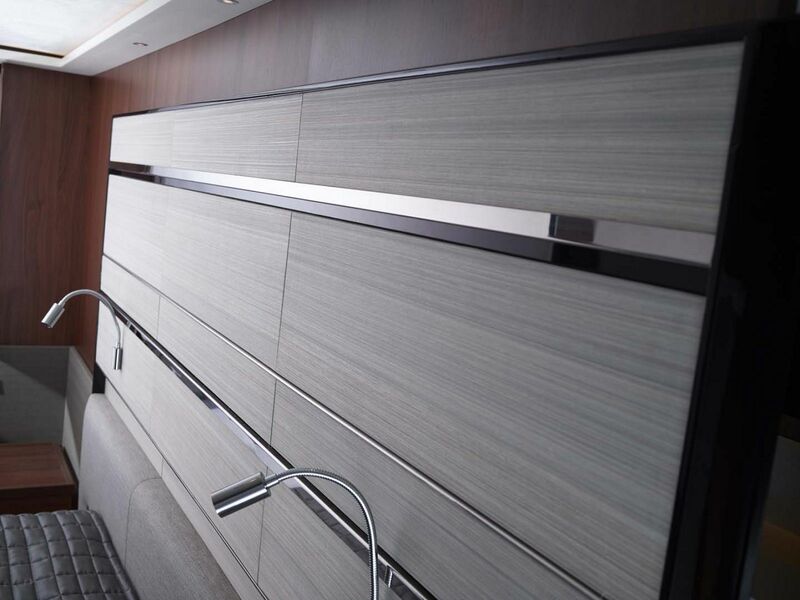 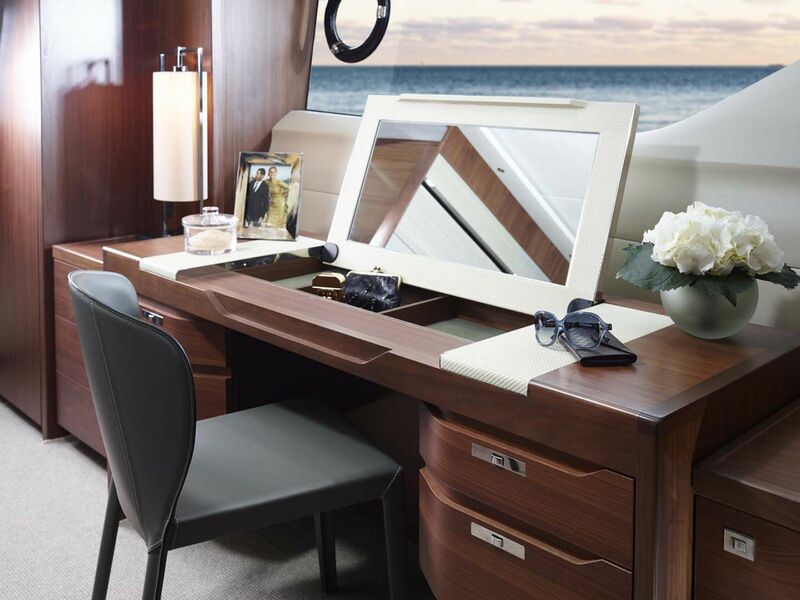 Below deck, there are three en suite cabins, including the full-beam master stateroom, which like the rest of the S72, is exquisitely finished. 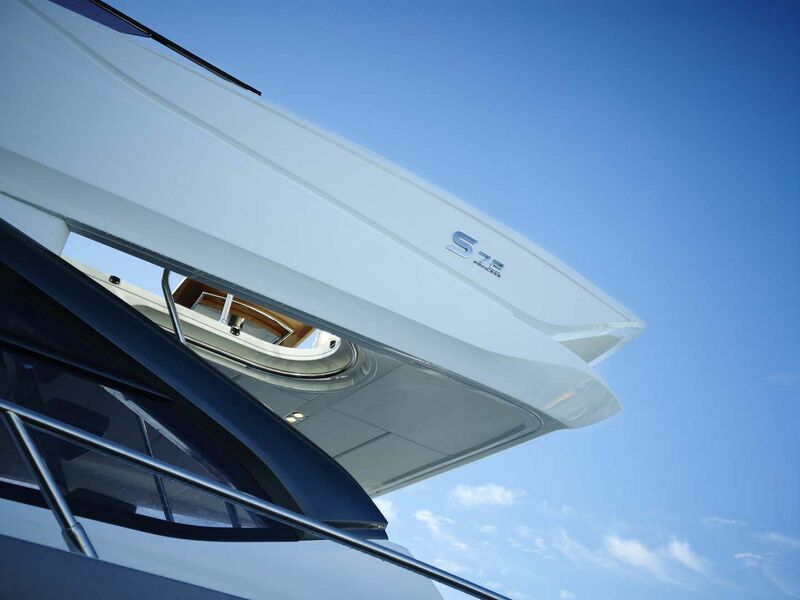 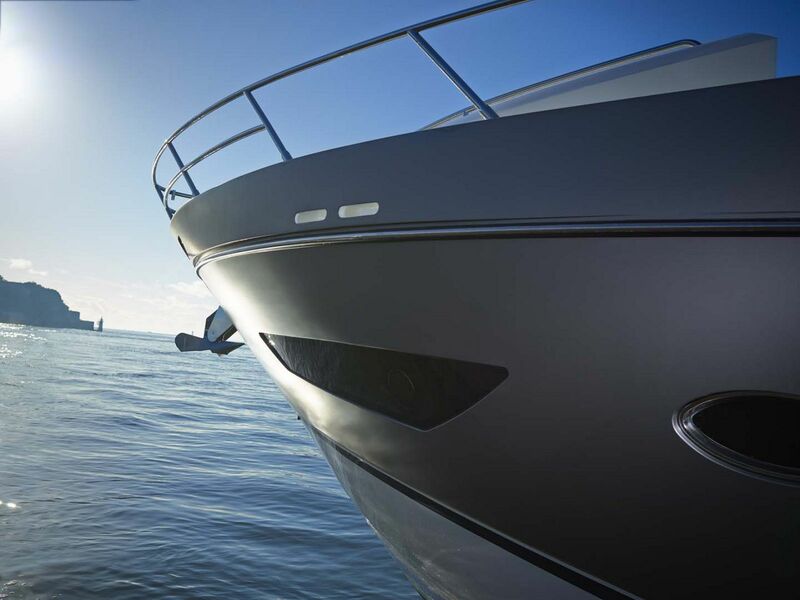 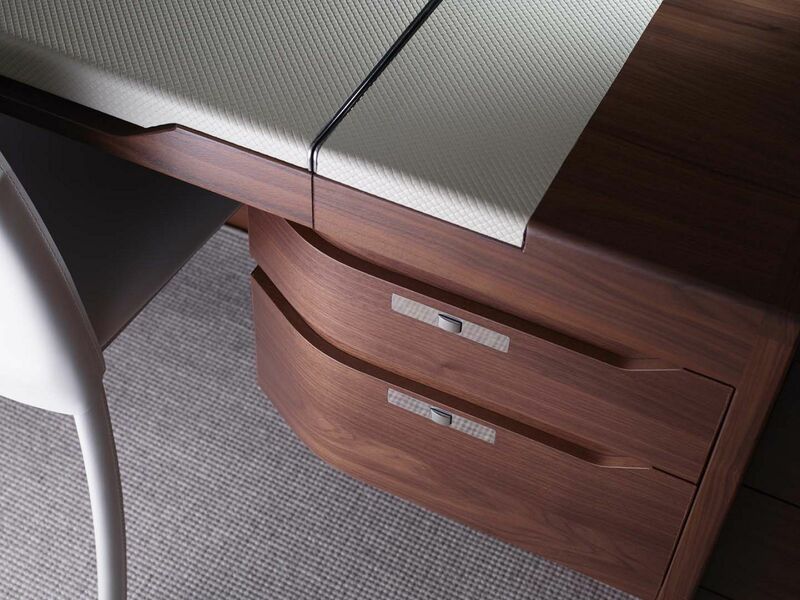 If you'd like to learn more about what makes the Princess S72 Sportbridge unique, please contact your SI Yachts Sales Professional today.